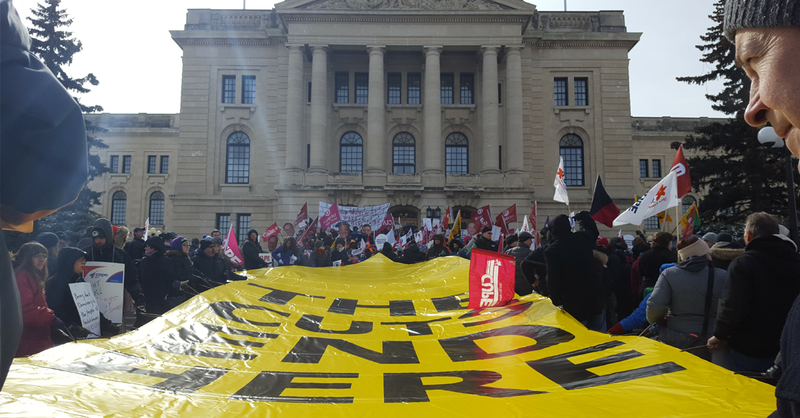 For over a decade, the people of Saskatchewan have lived under the shadow of austerity—enduring ruthless attacks on public services, job losses and contempt for workers’ rights. In this feature, we take a brief look at how life under the Sask Party has made things harder and more expensive for Saskatchewan workers and their families. Saskatchewan is the North American birthplace of social democracy. The Co-operative Commonwealth Federation (CCF), the precursor to today’s New Democratic Party (NDP), was established in Saskatchewan and founded many of the social programs the labour movement champions today: universal health care, strong crown corporations, and occupational health and safety legislation. For a long time, the CCF/NDP dominated Saskatchewan politics, winning 12 out of 19 elections. But the creation of the Saskatchewan Party and the election of Brad Wall in 2007 shifted the political landscape in the province. Since 2007, the Sask Party has won three consecutive terms in government with a decisive majority. In this time, they have set the clock back on many of the gains we made under the NDP. To begin with, the party has lowered taxes for its corporate friends while raising taxes on working people. They have increased the regressive provincial sales tax on children’s clothing, on insurance premiums and on restaurant meals—tax changes that disproportionally impact women and low-income families. The Sask Party has also aggressively pursued a privatization agenda—contracting out hospital laundry, building a swathe of P3 projects, and selling off crown assets. They have allowed use of user-pay MRI and CT scans, despite the program’s inherent contradiction to the principles of universal health care and the Canada Health Act. In 2017, the government unilaterally dismantled the Saskatchewan Transportation Company (STC)—stranding seniors in rural Saskatchewan, eliminating 250 well-paying jobs, and forcing low income people to hitchhike or pay through the nose for private transportation. The 2017-18 provincial budget instituted deep, devastating, and irreversible cuts to public services such as health care, education, and social services. Post-secondary institutions had their budgets cut by over 5 per cent and tuition fees have skyrocketed as a result. Over 50 million dollars were cut from K-12 education, forcing school divisions to lay off support staff, reduce hours of staffing, and increase class sizes. The government stopped providing key public health care services, including hearing aids, podiatry services, pastoral care, orthotics and equipment for sleep apnea, parent mentoring, and travel immunization clinics. They also increased fees for long term care, while shutting down almost 200 public long-term care beds across the province. Funding was also cut for municipalities resulting in tax increases, service cuts and new user fees. The majority of CUPE members, and all major public sector locals in the province are now in bargaining—which is protracted and difficult—and many of our largest locals are fighting concessions. Through all of these cuts, the Sask Party has remained wildly popular. Recent polls show that Scott Moe is the second most popular premier in Canada. With the 2020 provincial election approaching quickly, CUPE members have their work cut out for them. CUPE has an uphill battle to prevent further cuts to public services. But we are building awareness and resistance—and winning. 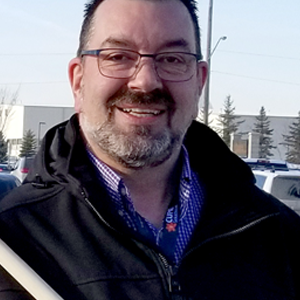 We asked two CUPE members about the lessons they have learned under a decade of Sask Party government, and why they remain hopeful. Scott Barrett is president of CUPE 8443, which represents support staff for the Saskatoon Public School Division. 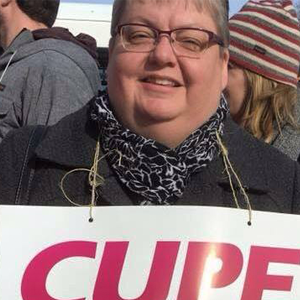 Stacey Landin is president of CUPE 9, which represents municipal workers in the City of Moose Jaw and surrounding rural areas. Counterpoint: After 10 years of the Saskatchewan Party in government, what do you see as the biggest challenge facing the labour movement? Scott Barrett: The obvious answer is the austerity budget. To my mind, the biggest challenge has been the attack on labour and the philosophy of giving money to corporations instead of public services. Stacey Landin: The Sask Party made it clear from the outset that they felt a big part of their role was to attack labour. The Premier at the time said publicly that they were at war with Labour and this is clearly the case. This right-wing government has made many disastrous changes for workers, while removing “challenges” for employers. Counterpoint: What, if anything, keeps you hopeful? Scott: When I go out to our schools and talk to people, I’m hopeful. People have been sold a bill of goods by this government, and now they realize that they’ve been lied to. People are starting to get riled up and they are ready to take action. People are waiting to be engaged by their union, and they’re ready to stand up when the call for action comes. Provincial budget cuts to education and health care really make an impact on people’s families, but it has taken time for people to see that. It takes a lot of work to make people see through the government lies. Stacey: Activism, sometimes from where you least expect it, makes me hopeful. The fact that people in Saskatchewan are willing to stand up to employers, governments and right-wing ideals, keeps me going. When thousands of everyday people can tell a government that cuts to libraries are not acceptable—by showing up at “read-ins” at their local library branches and MLA offices in small towns and large cities—and actually see the government walk back the cuts, there’s a reason to be hopeful!